Location Medical Services (LMS) has been trading since 1996 and is based in Shepperton Film Studios (where they operate a medical centre within the studio). To date LMS have provided nurses, paramedics and ambulance support services to over 500 feature films, TV productions, commercials and music videos across the UK and Europe. The expertise built up by Location Medical Services over the past 20 years means that we can always meet the needs of our film & TV production clients, from paramedic cover for large stunt scenes to day to day medical and nursing care for large busy film units. Although Location Medical is involved with much of the large feature Film production in the UK and routinely works with large scale productions and high profile cast and crews - we are equally happy working with small TV or commercial shoots. Our experience and professionalism means that we will always respect confidentiality and intellectual copyright of our clients. This is why you will never see our staff posing for pictures with celebrities or unauthorised images from your production on our website! Location Medical Services also has extensive experience in Event Medical Support, built up over hundreds of events - from small corporate events, AGM’s and trade shows to pan-London public events, major sporting events and large music festivals. Location Medical Services has planned, delivered and managed medical provision for events such as the 2012 Paralympic Marathon, The Moonwalk (15000 walkers each year), Sport Relief "headline" Events, The Royal Windsor Horse Show, Her Majesty the Queen 90th Birthday Celebration (Windsor Castle) 2016 as well as numerous music festivals, 10K Runs, 5K Runs, Cycling Events etc. LMS were also the medical provider for the official “Our Greatest Team 2012 Olympic Athlete’s Parade” in Central London which attracted reported crowds of over a million people. For large events LMS works closely with the NHS ambulance Service & Emergency Planning Managers to integrate their event medical services with the NHS 999 system. Location Medical Services is regulated and approved by the Care Quality Commission to provide Urgent care services and ambulance & paramedic services in the UK. Click Here to see why CQC registration is important for our clients. 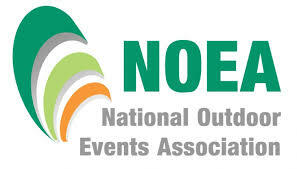 Location Medical Services is a member of the National Outdoor Events Association and the Independent Ambulance Association and is approved by the Health & Safety Executive for the provision of First Aid training (in accordance with the First Aid at Work Regulations 1981). 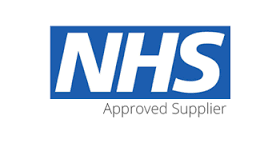 Professional Medical Staff provided by Location Medical Services will have recognised medical qualifications and “front line” operational experienced gained through the NHS (or overseas equivalent statutory health services). 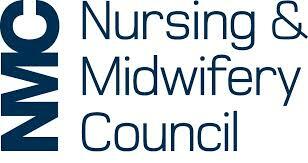 Staff are individually registered with the Health & Care Professions Council (HCPC), Nursing & Midwifery Council (NMC), General Medical Council (GMC) or other professional bodies appropriate to their grade or speciality. All staff will have qualifications independently verified by us, along with Enhanced DBS checks, ID checks and employment checks. We protect the interests of our clients and patients by ensuring that we carry full Employers Liability, Public Liability and Medical Malpractice Insurance Policies and that these specifically cover everything related to Event cover and Film and TV work. Insurance details are available to all clients on request. Clients are increasingly aware that failure to employ a properly insured medical provider means that they bear the liability for any medical malpractice. LMS Medical Director, Dr Fionna Moore MBE, has over 30 years experience as an A&E consultant, she is the Chief Executive of the London Ambulance Service NHS Trust (Having spent 17 years as its Medical Director) and was the NHS’s first Clinical Director for Major Trauma in London. She is a key contributor to numerous panels and committees relating to clinical standards, training and protocols for ambulance & pre-hospital clinicians including the Joint Royal Colleges Ambulance Liaison Committee (JRCALC) who publish the clinical guidelines used by every ambulance service in the UK. LMS Senior Clinical Advisor is David Whitmore SrPara, DIMC, RCSEd,QAM David is a highly experienced Paramedic and Paramedic trainer who has held the post of Senior Clinical Advisor to the London Ambulance Service for a number of years. 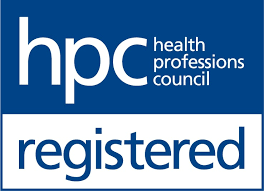 He is also part of the professional standards board for the Health Professions Council and has extensive experience in advising on “best practice” in all aspects of clinical, medico-legal and professional policy. Davis was awarded the Queens Ambulance Medal in the 2016 New Years Honours List. Fionna Moore is the Caldecott Guardian for LMS (responsible for safe handling of patient identifiable data) and the Accountable Officer (as defined by the, The Misuse of Drugs Act 1971; and The Misuse of Drugs Regulations 2001).